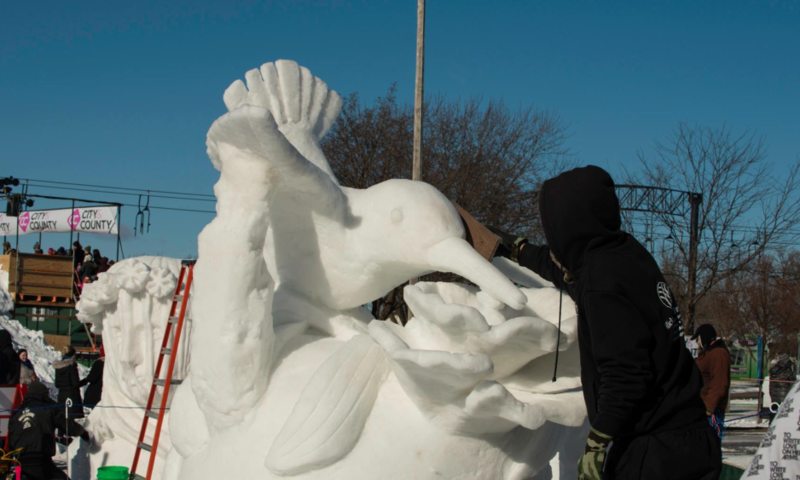 Each team (with up to three members) starts with a ready-made eight-foot cube of snow and has 2½ days to carve out a sculpture using only hand tools. Stop by often to watch the sculptures take shape and join us around noon on Sunday to vote for your favorite sculpture! Visit mnsnowpark.com/minnesota-state-snow-sculpting-competition for complete event details, entry form, and Vulcan Snow Park visitor information.